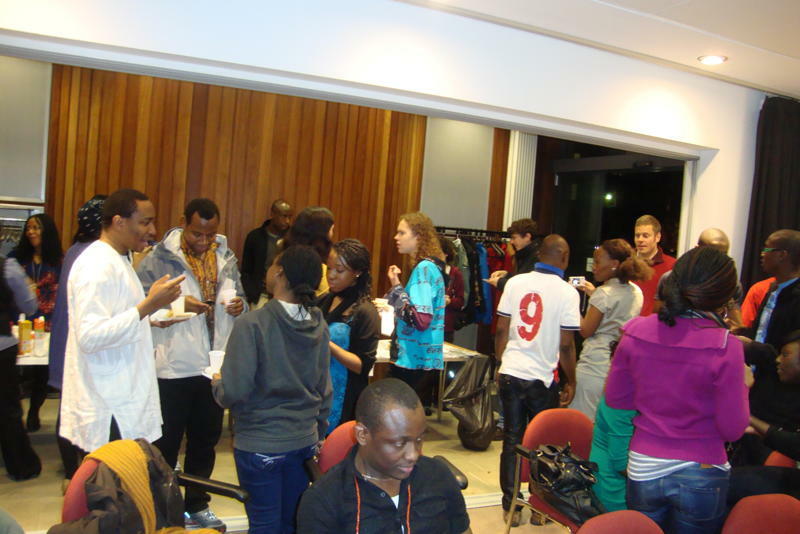 The Future Awards breezes through Benin, Jo’burg and the United Kingdom! Fresh from Benin City, where it engaged with over 1000 young people in conjunction with the University of Benin-based CFI, the organisers of The Future Awards moved on for the international phase of its annual Town Hall meetings. The South African Town Hall Meeting held at Club Hush on Friday November 5 and was organised in partnership with Storm 360, which held a reception for Storm artistes who had swept nominations and awards at the Channel O Awards. “We thought it was a fine opportunity to keep the Nigeria flag alive by participating in the activities of The Future Awards this season,” said Kenneth Oliko, Communication Coordinator for the awards. That train quickly moved to the United Kingdom. On Wednesday, 10 November at the Calouste Gulbenkian Foundation in East London, the official UK town hall meeting held. Youth leaders including Gbenga Sesan (two time winner of the awards), Subomi Plumptre, Oladapo Opayinka and others joined the meeting, which lasted two hours. Other guests included London-based entertainment heads Ayo Shonaiya and DJ Abass, Funmi Ajose-Adeogun amongst others. The #IamNigeria campaign, with videos from 2face Idibia, Stephanie Okereke and others was also shown to the guests. 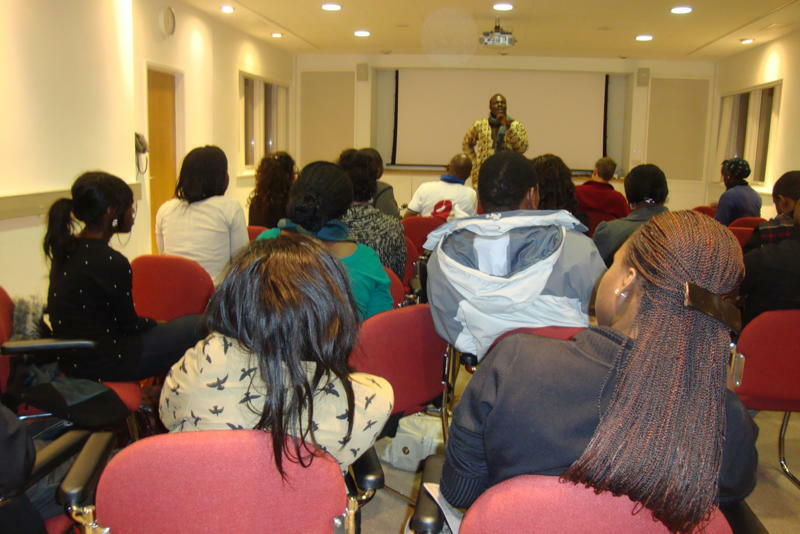 After London, it was on to Cambridge, where The Future Awards took its message to students under the Cambridge University Nigeria Society. The awards organisers, Adebola Williams and Chude Jideonwo joined awards’ nominee and award-winning journalist, Tolu Ogunlesi as he spoke with a cross section of undergraduate and graduate students on Saturday, 13 November at St Edmund’s College. 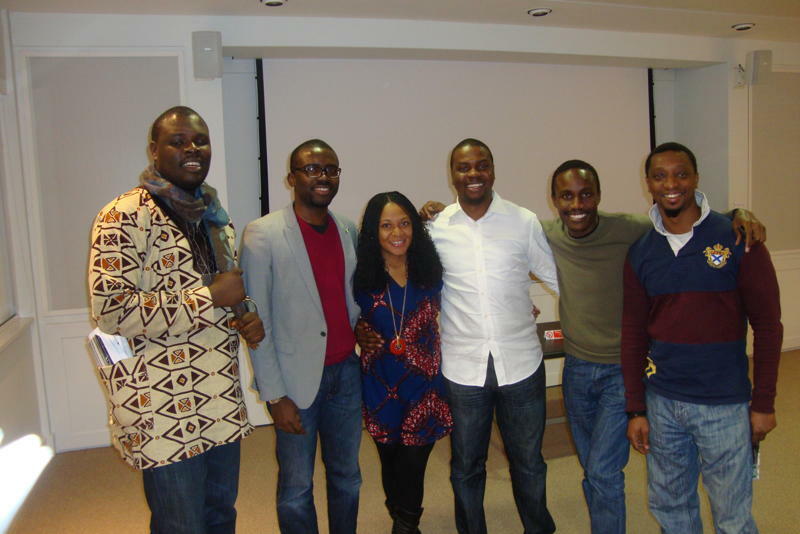 The event, called “A Taste of Nigeria” tried to “showcase Nigeria's many facets and rich culture” and ended with talks from the three guests, who spoke about the awards, this year’s campaign, how people in the Diaspora can be a part and other issues. Jideonwo also took the opportunity to speak about the RSVP campaign of the EnoughisEnough Nigeria movement, an advocacy coalition, which he founded through The Future Project. The RSVP (Register, Scrutinize Vote, Protect) campaign is geared towards ensuring that Nigerian youths are actively involved in all the process of the 2011 election. Nominations for the awards kicked off on October 1 and have been extended to November 21. Nominees must be Nigerian citizens and must be aged 18 – 31. Nominations are on www.thefuturenigeria.com and categories include Best Use of Science, Business Owner of the Year, Professional of the Year (Corporate), Creative Artist of the Year, On-Air Personality of the Year and 15 others.